While doing agriventures for our #FLPH farms, I noticed one thing in common to most of the farmers. They are mostly small scale backyard farmers. They produce goods probably enough to support their daily needs, or worst kulang pa sa kanila. I have no issue against backyard farmers. We need a lot of them to support our local agriculture production. Kaya lang, they are the most vulnerable and pinaka konti ang kinikita nila for various reasons. MARKET. By right, bago mag simula ng farming, alam mo na dapat kung san mo ibebenta ang produce mo. Lalo na kung madali masira yong product. Take for example sa mushroom farming. May mga backyard mushroom growers sa Batangas area. Kaya lang dahil wala silang clear market and dahil 2 days lang ang life span ng mushroom para ma consume agad, they dwindle. MIDDLE MAN. Since konti lang produce nila and they don’t market their own, they sell their produce to middle man who consolidates all produce and sell at a higher profit sa market. They are the one with financial capacity to provide trucking, machinery and warehouse for the produce. Sad to say, they are the one that profits most. Oftentimes, farmers are on their mercy. HOBBY. Most of them nung nag start, hobby lang. They still have their day jobs and do farming as hobby. Kaya naman yong produce nila, hindi ganon kalaki, pang hobby lang din. Just enough to earn small profit, but not enough to give up their day jobs and do full time sa farming. One example yong mga nagpupugo. If you produce less quantity eggs, mas mahihirapan sila mag market kse most buyer wants them in bulk. Though meron naman small buyers din, but not enough to buy all produce of small time producers. Market usually nagiging problema nila. LESS LEVERAGE. Since maliit lang ang production nila, big companies or retailers cannot deal with them directly. For example, if SM Supermarket wants to sell sili, will they approach 10 small backyard farmers or 1 commercial scale farmers? Syempre they will go for those who produce in bulk. Baka lugi pa sa transportation cost pag nagkataon. Since konti lang harvest nila, they often sell it to middle man at a lower cost. I know few big farms who consolidate farm produce and sell them in bulk sa mga big grocery chains. They are the one who leverage on the opportunity that bulk producers can get. For them to have a better chance of success, here’s some things they can consider. MARKET THEIR OWN PRODUCT. Eliminating middle man is one thing, but selling directly to consumer is another thing. This is something they can consider, but hard to upscale. How many kilos of sili you can sell in your local market on your own? I remember sa lugar namin sa Batangas, some hog growers sila na kumakatay ng mga baboy nila and sell the meat to neighbors and friends. Mas malakia ang profit, rather than sell the hog. For a start, this is a good strategy. UPSCALE. If they have extra resources, they can always upscale the farm and meet the demands in bigger quantity. The only question is how deep their finances are to invest in the farm. They can buy more lands, build more structures and hire more people. VENTURE. If they don’t have resourses of their own, they can use other means to get capital. They can loan from the bank, borrow money from family and friends, or open a venture with investors. On this way, they can get much needed capital to expand the farm. FORM AN ASSOCIATION OR COOP. Kahit maliit, pag nagsama sama malaki din. Consolidation is the key. If they are living in an area and marami silang backyard farmers, they can form an association or coop to make them big. If 1 farm can supply 1,000 eggs for example, 50 of them can supply 50,000 already. That’s a sample volume that is enough for them to market their produce at a better price. They can eliminate middle men and get the profit themselves. How to know if you are doing commercial scale in farming? Each products have different way in gauging it. For example, if you will do hog raising and your total number of hogs is 100 and above, you are not a backyard farmer anymore. If you do mushroom farming and your daily produce is more than 50 kilos, that’s not backyard farming anymore. If you have quails and harvest 10,000 eggs daily, that’s a commercial scale already. The point is, get a huge volume of harvest to make it on the commercial level. So if you want to retire thru farming and agriculture, consider doing it in a commercial scale for higher passive income. 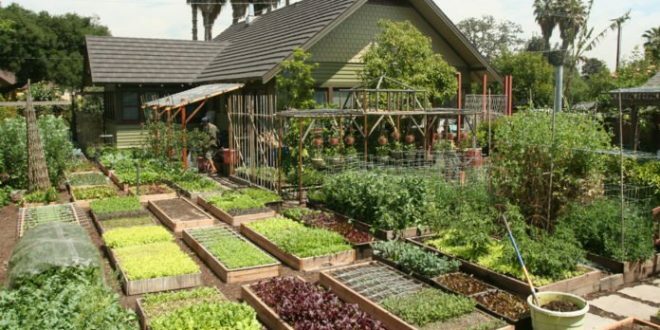 You can start as backyard farming, then slowly upscale it to support your needs. Get a bigger picture and plan for growth. Next: Do you need ACCIDENT policy if you already have MEDICAL policy?